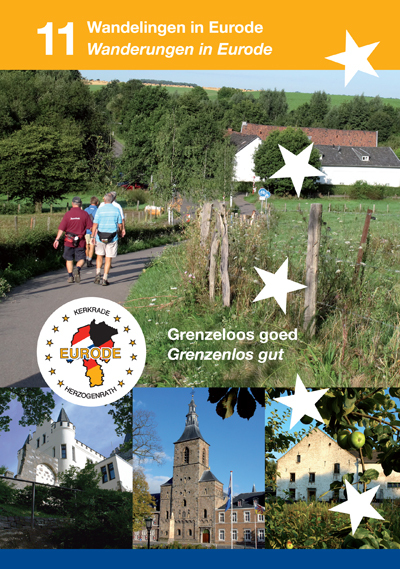 The term “Eu-Rode” was conceived as a result of combining of the two geographical names, Europe and Land van ’s Hertogenrode, the latter an historically homogenous region which straddles the present-day border between the Netherlands and Germany. As early as the 12th century Herzogenrath (D) and Kerkrade (NL) formed a single geographic and administrative entity. Down the centuries, the map of the region was subject to constant change, being a confused collection of duchies, fiefdoms and manors. These were likely to change hands on a whim, as dukes, counts and other manorial overseers would trade in the administrative rights to villages and lands, lose them on the throw of a dice, give them away as a dowry, or they would be captured by enemy troops or received by title in succession. Despite these tumultuous times, Kerkrade and Herzogenrath remained united under the name of Land van ’s Hertogenrode (German: Landes Herzogenrath). In 1804, the existing borders were abolished and the whole region was incorporated into Napoleon’s Greater French Empire. The French name for Herzogenrath (Rode-le-duc, or Rolduc) was already being used for the abbey of Klosterrade (in German: Klosterrath; and in French: L’abbaye de Rolduc). 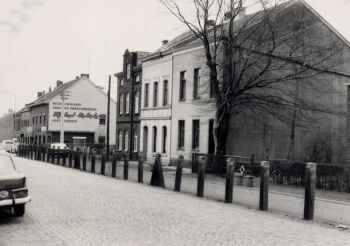 Nowadays, the name Rolduc refers to the area surrounding the abbey complex in Kerkrade. From an historical perspective therefore, not strictly true. When Napoleon was defeated at Waterloo, the Land van ’s Hertogenrode became fragmented. At the Congress of Vienna in 1815, new borders were seemingly arbitrarily drawn. The border between the Netherlands and Prussia cut the Land van ’s Hertogenrode in two, with Rolduc (in Kerkrade) falling into Dutch hands, and Burg Rode (in Herzogenrath) being assigned to Prussia. Kerkrade became part of the Netherlands, and Herzogenrath Prussia, thus wiping the Land van Rode from the map in one fell swoop after seven centuries of unity. Nevertheless, life went on normally much as before: citizens on both sides spoke the same dialect, pursued the same cultural and social activities and inter-married across the newly created border. In fact for many people in the Land van Rode, the border has never been looked upon as a social and cultural barrier. Perhaps nowhere else in Europe is there such a compact concentration of urban development on either side of an international frontier. 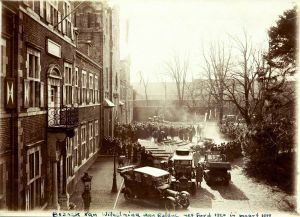 On the Nieuwstraat/Neustraβe, no no-man’s-land ever existed between the two sets of customs houses. And now even they have disappeared. But let’s turn our minds back to the early history of the region, as this is indispensable in understanding the close relations which exist today between the towns of Kerkrade and Herzogenrath. In practice, the border between the two towns never presented an obstacle to intensive contact between citizens on both sides. This situation only changed with the outbreak of the First World War in 1914. 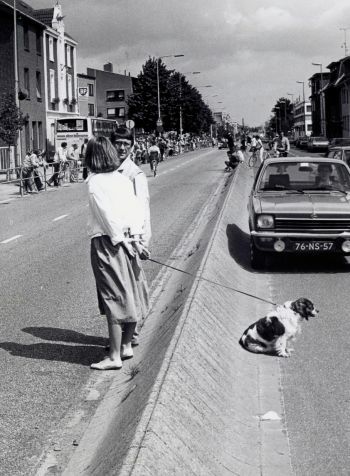 For the first time ever, a physical barrier was thrown up on the Nieuwstraat/Neustraβe: an “iron curtain” around 2 metres in height was constructed along the central reservation. 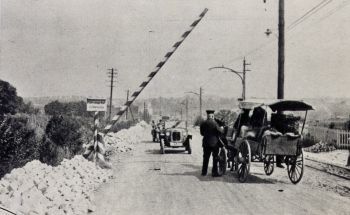 The Dutch-German border was kept under heavy surveillance by armed troops. After the end of the Second World War, right up until 1995, a physical border of sorts remained in place, albeit in slowly diminishing degrees. In the course of the intervening decades the two-metre high border fence was replaced by a friendlier-looking wire-netting partition of more modest proportions – just 1.20 metres high. In the sixties, this, in turn, gave way to a 60 cm high wall of concrete blocks which marked the border. But even though the physical division between the two countries - and between the two towns - became increasingly less hostile, both world wars left their mark, in the sense that both towns initially adopted an inward-looking mentality: Herzogenrath looked increasingly towards Germany, and Kerkrade towards the Netherlands. There were of course gestures of reconciliation, but these must be qualified as wavering, sporadic and informal. Only with the fall of the Berlin Wall and the opening of Europe’s internal borders, was there a wish fostered on the part of both communities to intensify mutual relations and to dismantle the “last wall in Europe”, namely that on the Nieuwstraat/Neustraβe. Before, the road layout had been designed within the constrictions of the divide and traffic circulation on both sides of the border operated independently of each other. When the thoroughfare was redeveloped, a communal layout was designed to include cycle lanes and parking bays on either side, as well as the planting of trees and shrubs. Taken as a whole, this project went towards improving the spatial, urban and transport infrastructure. 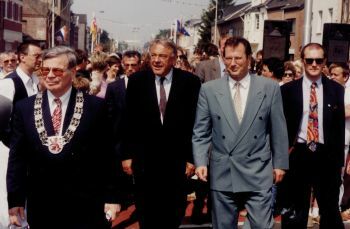 The redevelopment plan was completed in early 1995 and the opening of the new Neustraβe/Nieuwstraat was ceremoniously handed over to the citizens of both towns at a big Eurode party, in the presence of German and Dutch Foreign Office ministers. The Neustraβe/Nieuwstraat is now open and “borderless”, a truly European street, where – on one of the many roundabouts along its course - a few of the old concrete blocks have been assembled, to serve as a reminder of times gone by. A plaque with an inscription now marks the historic significance of the border. 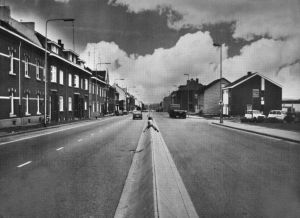 Nevertheless, because of the differences in national road-traffic regulations, traffic circulation on the redeveloped Neustraβe/Nieuwstraat initially caused a few headaches. The biggest difference was in the use of mopeds on the specially designated cycle lanes: mandatory in the Netherlands, but prohibited in Germany. This aberration, plus a road-traffic accident involving a moped rider and a pedestrian on the cycle lane, led to the Dutch traffic regulations being amended in 1999 which required that mopeds henceforth proceed along the main carriageway. This provides just one example of how cross-border cooperation can make a contribution to the harmonisation of national traffic regulations. However, there are still many differences between the statutory regulations in both countries which relate specifically to the situation on the Neustraβe/Nieuwstraat. Another odd example is the road signs. Dutch traffic signs are 2 cm smaller in diameter than their German counterparts and so do not meet the requirements of the German DIN. 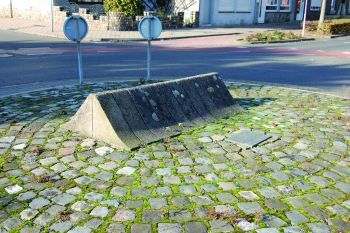 For that reason, both towns were directed to place German and Dutch traffic signs above and below each other. Because both local authorities felt that this obligation was unnecessarily overzealous, it was decided to implement a more pragmatic solution: that is, only to use the cheaper Dutch traffic signs. To this very day, Eurode is still waiting to receive formal dispensation from the authorities! So it’s clear that a certain degree of civil disobedience may sometimes be necessary to facilitate cross-border cooperation.